Jockey Mark Zahra rides Declarationofheart as he tries to go back-to-back in the Australian Derby. “Hopefully it’s not that close,” Zahra quipped. Declarationofheart finished second to fellow Derby contender Global Exchange in the Group Two Alister Clark Stakes (2040m) at The Valley in Melbourne last start and Zahra has been buoyed by the gelding’s performance in a Randwick barrier trial last week when he finished a close second to grand campaigner Happy Clapper over 1200m. “He trialled really well so I think he might actually go a bit better that way,” Zahra said. “He should be able to take up a spot I reckon, midfield or something, and if he gets the breaks I reckon he’ll be right in it. “He won really well at Sandown one day last preparation and then just struggled to put another win on the board. “But I thought his run was good the other day in the blinkers and I got a bit more confidence out of that trial the other day. I reckon he’s going really well. “It was just good that he got around that way really well and he hit the line. 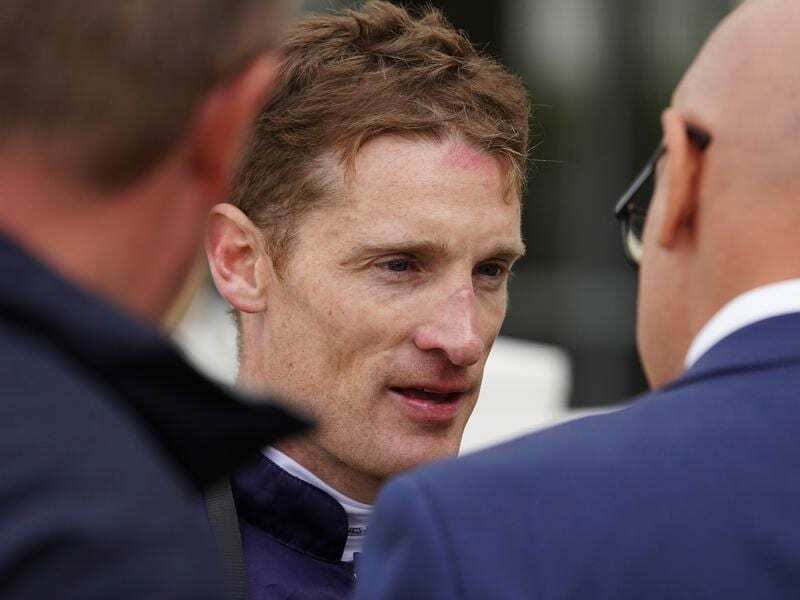 He also rides the threeyear-old’s stablemate, four-time Group One winner Santa Ana Lane, in the $2.5 million TJ Smith Stakes (1200m) and Dubious in the Group One Sires’ Produce Stakes. “He trialled well last week and just hit the line nicely,” Zahra said. “He’s got a great record. He’s going to get back off them but there looks to be plenty of speed. He’s going to be really strong late.